The NEW page presents any possible news concerning the collection, by offering a preview of the new entries, some preliminary photos and, hopefully, a brief description of their main features, waiting for a definitive inclusion in the general database. Note that the new members of the great family will also appear in the corresponding section of the COLLECTION page (with the NEW logo on picture), but the corresponding buttons redirect you to empty (coming soon) pages, until the writing of the "Review" and the selection of the "Photos" are ready. 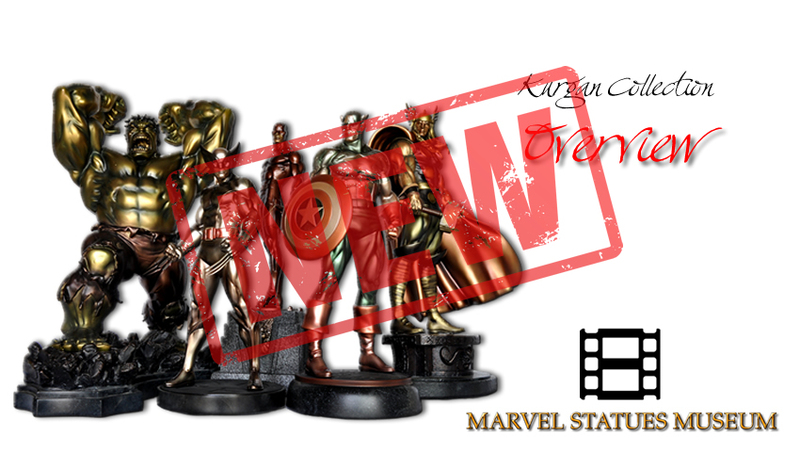 Have a look at the most recent members of the Marvel Statues Museum! After the Top 50 video dedicated to my favorite Marvel statues, a more general Overview give you a chance to go into details and have a look to a large set of collectibles depicting the epic characters of the Marvel Universe. These statues represent the core of the collection and have been collected in long years of passion and enthusiasm for this hobby! Thus, start the video, turn up the volume and enjoy the show!